Go on an adventure that's a most unique outdoor recreational activity. 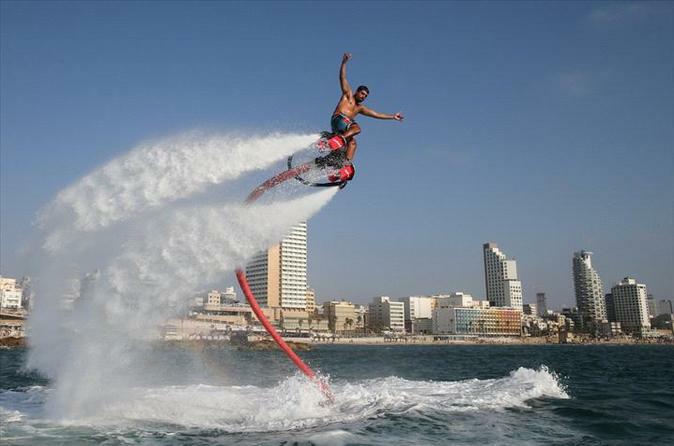 Explore the opportunity to take flight with a water-propelled FlyBoard. In just seconds, you'll be soaring high above the water with ease and be having a blast while doing it. Average group size is 4 guests. This will mean you can relax onboard for about 2 hours, while seeing some famous sites in the meantime. During your flight you will have both a Certified Flight Instructor and a Flight Navigator focused solely on your successful FlyBoard experience. In addition, prior to your flight, your Flight Attendant will provide comprehensive FlyBoard instruction and a safety check.